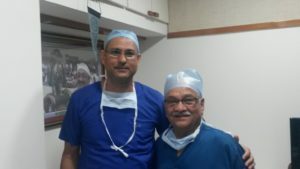 Dr. Christian Valme recently returned to Haiti after spending 6 months in Nadiad, India learning percutaneous kidney stone removal from Dr. Desai (pictured with him). Upon returning home he met his son, Raphael, who was almost 3 months old. The India opportunity was made possible by Dr. John Denstedt and the Endourological Society as well as Project Haiti. 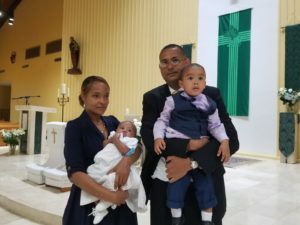 We look forward to working with Christian and helping him to be a skilled endourologist so he can help his fellow Haitians with minimally invasive kidney stone removal.